The IFC (Industry Foundation Classes) file format is an open standard data model. Developed and managed by the international organization buildingSmart, it is the common data exchange format used in BIM-based projects and to exchange data in the construction industry. This format is supported by most 3D viewer modeling software products (architectural, structural and installation software) and by other applications using the BIM approach for work execution. The most important feature of the IFC standard is its maximum interoperability, which is capable of sending/receiving information to and from other platforms without making any additional changes; therefore, the data remains intact the same as in the original version. 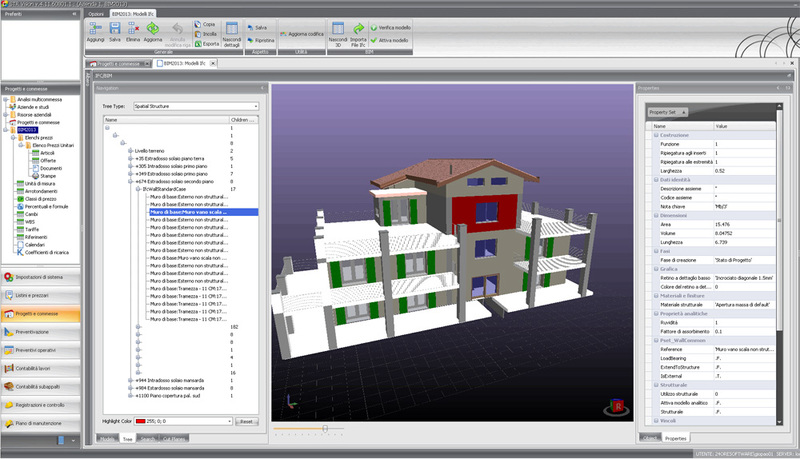 IFC Viewer integrated in STR Vision CPM allows you to upload IFC files (produced by the main 3D CADs) to explore the model and see the quantitative and qualitative properties of the modeled objects. Thanks to IFC Viewer you can approach the new design technologies and the tools supporting an integrated process in BIM logic in your IFC construction projects. IFC Viewer software is free and included in STR Vision CPM.